I would like to make the case for Quakers becoming vegetarian. Quakers at one point wore black, white, and gray clothing so that they would not support a market for dyed clothing, because the dyeing process was so carcinogenic that those working in the industry died young. Quakers also, over a process of many years, came to unity in the belief that the practice of owning slaves is inhumane, unjust, and inequitable. Our testimony of simplicity has always called us to own less, as a way to not be driven by material attachments or over consumption of our Earth’s resources. John Woolman called us to look to our possessions and remove the seeds of war (and I would add suffering). All of these ideas—caring for our ourselves, our fellow human beings, and the Earth—applied to the present day would lead Friends to become vegetarian. I first became a vegetarian while attending Earlham College in Richmond, Indiana, and I’ve continued as a vegetarian for four decades. It was not for health or spiritual reasons, or the issue of animal welfare that I became a vegetarian. I became a vegetarian for political reasons: we could end world hunger if we stopped using food to feed cattle consumed by people. My journey with vegetarianism will illustrate that there are many ways to witness about the effects of meat production on our environment, animals, and our planet. I grew up in a meat‐and‐potatoes kind of family where every meal was meat, carbs, and over‐boiled veggies, and I could not imagine how someone could or would adopt a vegetarian diet. The first time I had a week of delicious vegetarian meals was when I was 21, and I was instantly converted. I knew then that it was possible to eat well without meat. Nine years later, during dinner hour, I was traveling a stretch of road dotted with one fast‐food restaurant after another, and then arrived at a facility that had no food! During my stay of several months at that facility, the only thing I could find to eat was bean burritos at Taco Time. That was okay for a while, but after three months of bean burritos three times a week, I never wanted to see another one! I reluctantly added fish back into my diet. For the next 15 years, I ate meat only outside of my house, and then infrequently. In order to welcome my meat‐eating stepson into our house, I began to cook chicken and fish at home. My husband at the time, who had been 100 percent vegetarian for nine years, was amused that I described myself as vegetarian. I told him that he had eaten vastly more meat in his life than I had, and that this would be true for years. After we divorced, I stopped eating meat again. I then developed some health issues that my doctor said was the result of not eating enough animal protein. Currently, I eat fish and eggs, each once a week, which seems to be enough to maintain good health. In my early vegetarian years, I learned quickly that simply mentioning that I was vegetarian could elicit a strange guilty, defensive reaction from others. Without saying anything more than “I don’t eat meat,” people would start to offer explanations and justifications for eating meat. I got tired of listening and stopped mentioning my choice. I had not become vegetarian to assume a position of moral superiority over others. Some readers may notice feelings of guilt or defensiveness, and I ask you to wrestle with those feelings. I suspect that Friends who were first asked to give up owning slaves also wrestled with guilt and defensiveness. Each of us will have to do the best we can morally with issues involving meat production and consumption. As my bumpy path demonstrates, I have no morally superior position from which to speak. I am not trying to tell the reader how to eat but am asking for an examination of the moral issue of meat consumption in the age of climate change. I also think that this is not a black‐and‐white no meat, no dairy, no anything. Some people choose to be vegan; some, vegetarian; some eat no red meat; some are pescatarian, eating only fish; and some just eat less meat than they used to. Change is not easy, but if we examine possibilities, we can explore and begin to shift. The first reason for calling Friends to vegetarianism is to address climate change. Friends overall are well aware of and very concerned about the threat of climate change. Some have written to Friends Journal about why climate change touches every one of our testimonies. Early in my climate activism, I started a list of what people could do to lower their carbon footprint. What blew me away was discovering that one of the biggest reductions people could make was simply to stop eating meat! Using fertilizer to create animal feed, transporting the feed, using the feed to produce animal protein, and then transporting the animals are all very energy‐intensive activities. Eating lower on the food chain and eating foods grown organically produces far less carbon. There’s yet another drawback to eating animals such as cows and sheep: their manure, burping, and flatulence deposit large amounts of methane in the atmosphere, and methane traps 20 times more heat in the atmosphere than does carbon. I know that sounds like a joke, but it is true. There are charts showing how much carbon per day/per year a person would save if they didn’t eat meat. Although the data doesn’t agree exactly, the charts all show huge savings. By one estimation, a person who doesn’t eat meat one day a week for a year saves 700 pounds of carbon; two days a week saves 1,400 pounds of carbon a year; and cutting out all meat saves a whopping 4,900 pounds of carbon a year. (By point of comparison, switching out one 60‐watt bulb saves 100 pounds a year.) A more conservative chart shows the savings from giving up all meat equal to giving up driving a Prius. The United Nations lists meat production as causing 18 percent of worldwide greenhouse gas (GHG) production. What would happen to climate change if we all cut out that 18 percent of GHS emissions in the next year? The newly released book Drawdown, by Paul Hawken, lists 200 ways for humans to reduce or sequester carbon, the fourth solution being a plant‐based diet. If one’s goal is to achieve social justice by eating less meat, it is helpful to know the following. The production of lamb creates by far the highest carbon footprint: two times that of beef, which is also terrible. Cheese has a little less than half the footprint of beef (it’s still high because of the way cows are raised in the United States). Then comes pork; salmon; turkey; and tuna, being half the footprint of pork; and eggs, a little less than tuna. Yogurt and tofu each have one‐third the footprint of tuna. Inexplicably, cow milk is lower than even vegetables. The Environmental Working Group, an American environmental group which works in research and advocacy, has produced a “Meat Eater’s Guide” showing the relative carbon footprint of various food choices, available at www​.ewg​.org/​m​e​a​t​e​a​t​e​r​s​g​u​i​d​e​/​e​a​t​-​s​m​a​rt/. A vegetarian who did not eat cheese but did eat eggs, yogurt, tofu, and milk could get enough protein, and yet produce relatively low GHG emissions. Clearly being vegan would have the best carbon footprint, but one does have to put attention to how to get certain vitamins and Omega 3 normally contained in animal or dairy protein (hats off to those of you who put in the effort to do it safely). There are vegans who feel that it is indeed perfectly safe, and there are conflicting studies about this. Like all the choices mentioned here, eating vegan may work for some though not all. Each of us needs to find our right choice. I would encourage you to start wherever you can and then keep wading in. Not killing animals speaks to our testimony of nonviolence. Even if you are comfortable with the idea that in the cycle of life some animals eat other animals, you would be horrified if you took even a cursory look at a confined animal feeding operation (CAFO). The animals are raised and killed in inhumane, crowded, and violent ways. This is sufficient reason to look to pasture‐raised animals. Climate change is creating drought and resulting food shortages. The argument has been made that the war in Syria began over food shortages. So the issue of using food to feed production livestock, rather than exporting it to other countries so more people can eat, is a peace issue. Meat is an energy intensive way of producing protein. Seventy‐nine percent of farmland is for livestock feed and pastures. Rich countries have higher levels of meat consumption (and resultingly higher obesity levels). We could feed 2.9 billion more people if meat were not produced. One acre of grain produces five times more protein than one acre used to produce meat, and feeds 25 people as opposed to one carnivore. Meat production also requires much more water, which creates a resource scarcity issue. Both equity and simplicity testimonies are about not living in ways that deprive others of their quality of life: Live simply so others can simply live. Aside from the climate change issues mentioned above, CAFOs (where most meat in the United States is produced) pollute creeks, ponds, rivers, and aquifers due to the runoff from animal waste. Mass crops produced under agribusiness strip the soil of nutrients and do not sequester carbon, like organic farming methods do. Forty percent of all energy used for industrial agriculture is for fertilizers and pesticides. 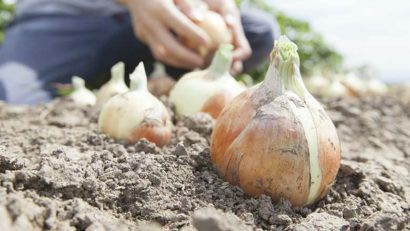 Thus organic food systems use 30 to 50 percent less energy, and the soil sequesters about 28 percent more carbon than industrial‐farmed soil. So Friends, I invite you to take up the challenge of reducing or eliminating your meat consumption! I would like to see our quarterly; yearly; and annual gatherings, such as Friends General Conference, try to work with food providers to offer only vegetarian meals. This would be a great way for Friends to experience delicious and healthy eating, and to support those who are working on such changes. I invite you to this witness for peace, equality, stewardship, and justice. I admire anyone who lives their life according to their spiritual principals or social concerns, and therefor, my comments are not meant to attack your lifestyle, but to defend mine. I live on a 150 acre farm in northern Pennsylvania. About 50 acres are wooded or scrub land. An additional 50 acres is too steep to till, but can be grazed. The remaining 50 are flat enough to cut hay, but the soil is too poor (shallow or poorly drained) to efficiently raise cash crops or vegetables. The core of my farming operation is a flock of 100 ewes. From these ewes, we market 150–175 lambs per year and about 1000 pounds of wool. 90% of the feed for my sheep is grown on the farm–half of that is grazed. I use tractors to harvest my hay and to clip the pastures for control of thistles and noxious weeds, but I use less that 150 gallons of diesel fuel per year in the tractors. The manure from my flock is either deposited directly on the pastures or spread on the hayfields for fertilizer. A small portion is also used to fertilize our vegetable garden. Although I farm for profit, my management decisions are always weighed against my spiritual convictions and my social consciousness and these have the veto power. Raised in a farm family that always had a hearty meat and potatoes meal on the table, I have reconsidered the role of meat in my diet and now prefer a good stir fry or salad with just enough meat to add flavor and supply iron and vitamins. You may note that meat is only part of our product–we also market a half ton of wool. Our fleeces are carefully skirted and sent to a mill downstate to be spun into yarn. Some of the yarn is sold retail and some we use for knitting and weaving. Wool is a wonderful natural fibre and we are proud to produce it. I wish you good will and peace in following your chosen lifestyle. Our family has been blessed with both in following ours. While the core principles of this article are sound, I find it decidedly naive and downright problematic in many places including suggesting that we as a Quaker community forcibly offer only plant‐based food without considering the actual needs of the people we are in community with. It is not hospitality to set a table that will leave multiple guests struggling with their medical needs after eating a meal. It is not good stewardship of our communities to exclude around something so simple. Perhaps my work as FGC’s Gathering Food Coordinator (aka the person who liaises between the conference coordinator, the dining staff, and registrants around issues of food, dietary concerns, allergies, and access needs in our dining spaces) is coloring my comment, but I think of the hundreds of attendees who would be fighting their bodies and in some considerable discomfort throughout the entire week if we transitioned to exclusively plant‐based proteins. I am one of those attendees, and I cannot imagine facing down a week of only vegetarian meals while trying to focus on my job, the eagerly anticipated socialization of Gathering, and self‐care. I wouldn’t be able to stay awake for more than an hour at a time by day 2 of the event! One of the great joys of the work that I do at Gathering is explaining to the dining hall that we have a tremendous number of adult vegetarians and even more attendees who choose the “I eat meat but choose a plant‐based protein at least half the time.” Advocating for the quality and quantity of those plant‐based proteins is something I spend hours doing, often in places where I have to define the phrase “plant‐based” for the staff in a way that will honor their experience instead of belittling them for not being exposed to some of the favorite planet‐friendly lifestyle buzzwords. I am often the target for anger and frustration in that work, acting as a public lightening rod by being visible and vocal about the role of our plant‐based protein entrees. Bringing the joy of food that honors their needs and nourishes their body to every attendee at Gathering is what makes the work of this position worthwhile. Using food as a political tool is not on my agenda. Food is inherently political, entwined with our values and culture. Using food to exclude or shut down an outlet of hospitality, especially for people who are often struggling for balance in their own bodies is against everything I know as a kitchen manager, cook, Southerner, and Friend. Sometimes, modeling the abundant joy of our diet and food choice–because it is clear to me that being a vegetarian brings that joy to Lynn’s life–means accepting that our friends and loved ones need a different source of joy to also live abundant and powerful lives. If Friends are interested in experiencing the plant‐based protein options at Gathering, I would encourage them to register as a vegetarian to fully engage with the offerings that the conference coordinator, dining team, and I will be putting together. I would also encourage Friends to trust that many of us are listening to our bodies and our doctors so that we may also join your table with abundant joy. I attended Gathering in NF for a few days last summer and was impressed by the food variety that was offered each day. You did an excellent job. I would like to start this reply to Suzanne by saying that I have great admiration for Suzanne as our FGC food liaison. She is in my opinion a hero. Before she became liaison my daughter who is both vegetarian and suffers from gluten allergies had actually lost weight at two Gatherings in a row because of not being able to get food she could eat. I also last year had talked to Suzanne about instituting a line that was just vegetarian so that the vegetarian’s did not have to get in multiple lines to get what was available for them to eat. Suzanne did institute this mid week and I witnessed her having to stand at the line and ask the meat eaters to please leave this option for the vegetarians because there was not enough of that option available for everyone. I watched her have to argue with one man who was insistent that he should have what he wanted even if it meant that the vegetarian food ran out leaving those who don’t eat meat with nothing to eat. So I know how important hospitality is to Suzanne. It was precisely that experience that impacted my thinking about this. I have observed before at FGC that when there are good vegetarian choices available that those are heavily selected by all (often leaving vegetarian’s late to meal without options.) So my thought was really lets reverse the balance and have the bulk of the choices be tasty vegetarian options. Could we have enough of those options that they don’t run out? I did envision a meat line, just like the gluten free line for those with health restrictions. I certainly never intended to say that those who have health needs be left without! However, restricted for page space I did not spell all that out so I’m sorry for alarming Suzanne and others. However, I do need to address what a health need really is. All humans metabolize protein differently and so there are some people who really do need protein in a meat form. That is actually a very small number of people. Because of complementary protein (complete protein that is created by a combination of incomplete plant proteins.) many people and whole cultures have lived just fine without meat protein. When I referred to my doctor saying I needed to eat some meat — that was not a general statement the doctor was making about diet, but some specific issues I was having. Which by the way were addressed by eating one serving of fish and one serving of egg a week! In many many cultures this sort of meat as a condiment approach keeps everyone healthy. American’s diet is way meat heavy and we have heart issues, etc to show for it. I was sort of amazed by Suzanne’s belief that she would be falling asleep with exhaustion if she did not meat all the time. I don’t know it this is an experiment she has done and is true of her particular body, but this is certainly not what happens for most people if they do not eat meat. I am aware that FGC has gone to states where vegetarianism is so uncommon that the kitchen has no vegetarian recipes in its repertoire and that the food committee has really had to work with them to help them figure out how to feed us, and I am very grateful for that. I think if there are folks interested in doing the experiment of what would it be like to eat without meat for a week I hope they will as Suzanne suggested register that way for the week. I also still hope we could work with food services to for example at least discourage the most carbon intensive meats from being served: lamb, beef and pork. Really I just want people to wrestle with how can we take steps in response to climate. I am not trying to tell anyone how to eat. I am grateful for Lynn Fitz-Hugh’s invitation to make our food choices a witness for peace, equality, stewardship, and justice. So much of my modern American lifestyle has been at odds with the needs of the more‐than‐human world that surrounds us. It is a great joy to find ways (in this case such delicious ways) of being able to live up to my principles. The more that I learn about our fellow beings, the more I value a plant‐based diet that minimizes my contribution to the pain and needless killing that our species inflicts on others, whether directly on fish and farm animals or indirectly by way of the wasteful and polluting animal‐agriculture industry. I have two concerns about this article. The first is that, although avoid meat is good for the environment and for the climate, it is not a good way to slow climate change. Having fewer children (or none at all!) is the most effective action that an individual can take. The other is a medical issue. Because no vegetables have a substantial amount of the essential vitamin B12, it is necessary for all vegetarians to take B12 supplementation and/or have the level tested. Thanks for writing this important article!